Collaboratory: "Letters to the Mayor," "A Column is a System," and "The Other Architect"
View of Collaboratory: The Other Architect (organized with the Canadian Centre for Architecture) at Monoambiente, 2016, Buenos Aires, Argentina. Photo: Manuel Ciarlotti Bidinost (Estudio Homeless). Collaboratory is a year-round project integrating three exhibitions and a series of public programs. 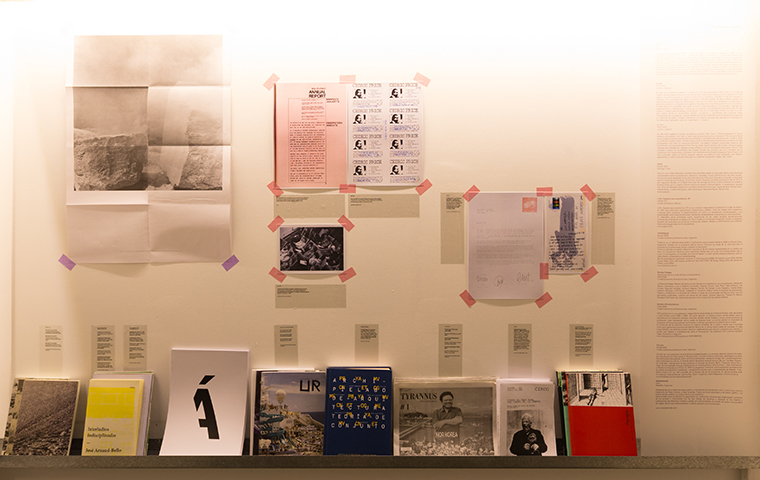 The space is occupied by three invited international institutions: the Storefront for Art and Architecture (New York), LIGA-Space for Architecture (Mexico City), and the Canadian Centre for Architecture (Montreal), each of which will curate and produce a site-specific exhibition for Monoambiente. The aim is to focus and challenge experimental architecture from North to South America, creating new networks between all agents involved in the discipline. Monoambiente constantly changes its stream of activities, led by participating institutions that takeover the exhibition space and host public programs of their choosing, furthering groundbreaking architectural practice and discussing the role and relationship of institutions throughout the Americas. Martín Huberman trained as an architect, and also works as a designer and teacher. He received his degree from the Faculty of Architecture, Design, and Urban Studies at the University of Buenos Aires in 2006, and then continued his studies through graduate courses in Buenos Aires and the United States. Upon returning, in mid-2008, he created his practice, Normal™, which furthered his interest in experimentation and research applied to architecture, design, and cultural management. In 2010, he founded Monoambiente, the first space in the region dedicated to experimental architecture and design. Lucia Seijo, producer, received a BA in curatorial studies from the Instituto Univesitario ESEADE in Argentina and has attended contemporary art courses at IUNA in Buenos Aires and the School of Visual Arts in New York. In 2010 she was selected for an annual curatorial practice in the Department of Architecture and Urban Studies from the Solomon R. Guggenheim Museum of New York. Since then she has collaborated with various local and international publications and participates as a curator and as an artist to generate projects that address the built environment through art. 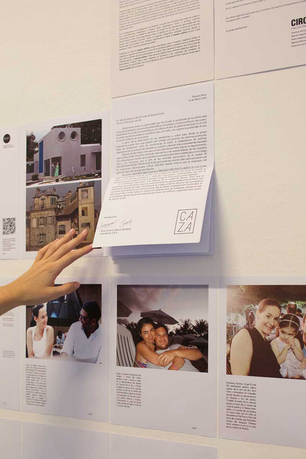 Inés Molinari, producer, recieved her degree from the Facultad de Arquitectura, Diseño y Urbanismo de la Universidad de Buenos Aires. She is working as an assistant profesor at Universidad Nacional de San Martín and Universidad Torcuato Di Tella. Furthermore, she has developed urban and architectural projects in different contexts and worked as a writer and editor in the Argentinian architecture magazine Summa+. Monoambiente is an experimental space committed to the development of architecture and contemporary design. By challenging and questioning established limits, the exhibitions, actions, and programs carried out under its auspices further the material and spatial language of both disciplines (architecture and design). It foments action and engagement as exploration and collaboration as support. The intention is to make a contribution that operates on conceptual, material, and professional levels, encouraging engagement and dialogue between architects, designers, students, and the general public. The space is a milestone in the city’s cultural milieu as it engines the contemporary experiences and productions of both local and international designers. Founded in 1982, Storefront for Art and Architecture is a nonprofit organization committed to the advancement of innovative positions in architecture, art, and design. 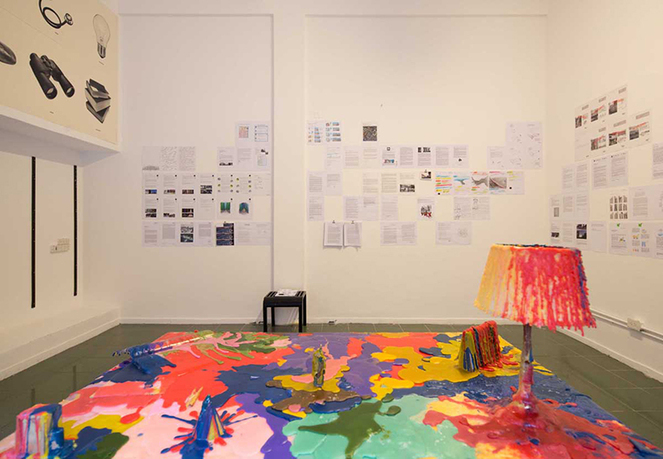 Its program of exhibitions, artist talks, film screenings, conferences, and publications is intended to generate dialogue and collaboration across geographic, ideological, and disciplinary boundaries. As a public forum for emerging voices, Storefront explores vital issues in art and architecture, with the intent of increasing awareness of and interest in contemporary design. LIGA-Space for Architecture is an exhibition-based program and venue that aims to display emerging Latin American architectural practices, and in doing so, serve as catalyst for discussion and information exchange. The exhibitions are curated not as mere compilation of the visiting practice's architectural projects, but rather serve as spatial and site-specific installations based on design ethos. The range of discussions achieved through these endeavors displays the wealth in approaches, concepts, and interpretations that emerge out of a geographical construct in a perpetual state of evolution and transformation. Young architectural practices, through sharp analysis regarding our built environment, set the tone for a discussion that generates a qualitative change in the discipline. The Canadian Centre for Architecture (CCA) is an international research centre and museum founded on the conviction that architecture is a public concern. 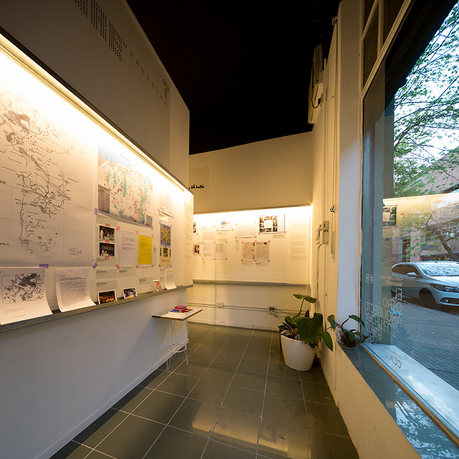 Based on its extensive collections, the CCA is a leading voice in advancing knowledge; promoting public understanding; and widening thought and debate on architecture, its history, theory, practice, and role in society today.